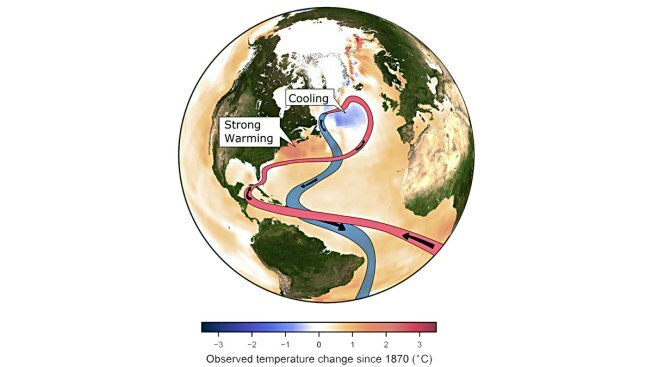 The study's authors said it raises the prospect of a complete and catastrophic circulation shutdown in the Atlantic, which was the premise of the scientifically inaccurate 2004 disaster movie "The Day After Tomorrow"
This image provided by the Potsdam Institute for Climate Impact Research in April 2018 shows observed ocean temperature changes since 1870 and currents in the Atlantic Ocean. A study released on Wednesday, April 11, 2018, suggests global warming is likely slowing the main Atlantic Ocean circulation, which has plunged to its weakest level on record. Global warming is likely slowing the main Atlantic Ocean circulation, which has plunged to its weakest level on record, according to a new study. The slowdown in the circulation — a crucial part of Earth's climate — had been predicted by computer models, but researchers said they can now observe it. It could make for more extreme weather across the Northern Hemisphere, especially Europe, and could increase sea level rise along the U.S. East Coast, they said. The slowdown also raises the prospect of a complete circulation shutdown, which would be a dangerous "tipping point," according to a study in Wednesday's journal Nature. Such a shutdown was the premise of the scientifically inaccurate 2004 disaster movie "The Day After Tomorrow." Study authors said a collapse is at least decades away but would be a catastrophe. 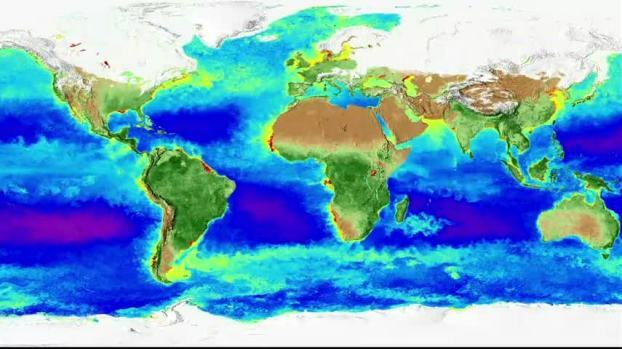 NASA has captured 20 years of seasonal changes in a new global map of the home planet. "We know somewhere out there is a tipping point where this current system is likely to break down," said study co-author Stefan Rahmstorf, a climate scientist at the Potsdam Institute for Climate Impact Research in Germany. "We still don't know how far away or close to this tipping point we might be. ... This is uncharted territory." 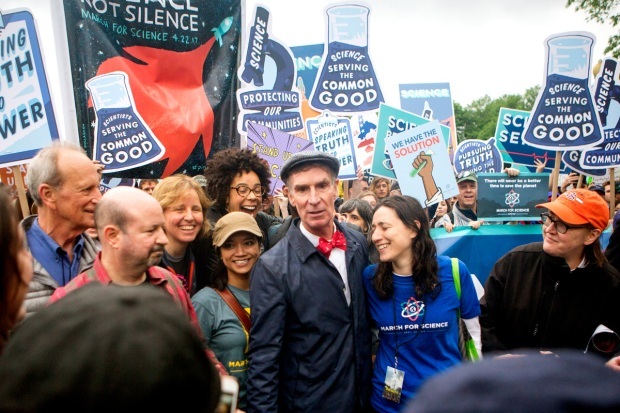 Some other scientists are skeptical, citing a scarcity of data. The Atlantic meridional overturning circulation, called AMOC, is a key conveyor belt for ocean water and air, creating weather. Warm salty water moves north from the tropics along the Gulf Stream off the U.S. East Coast to the North Atlantic, where it cools, sinks and heads south. The faster it moves, the more water is turned over from warm surface to cool depths. "This overturning circulation redistributes heat on our planet," said study lead author Levke Caesar, a physicist at the Potsdam Institute. "It brings heat from the tropics to the high latitudes." The Caesar study and another one published in the same issue of Nature by a different team indicate that the Atlantic's circulation is the weakest it's been in about 1,500 years. And the slowdown is intensifying. Since the middle of the 20th century, the speed at which the ocean moves water in the AMOC has dropped 15 percent, the study found, using cold subpolar water temperatures as an indirect measurement. And it has plummeted in recent years, the study concluded. "Today" host Al Roker talks with NBC's Eric Hinton about writing a weather book for children, how journalists should report on extreme weather events and why there are more of them than ever. The Gulf Stream, the warm water current where hurricanes can power up, historically veers away from the United States around the Carolinas or Virginia. The Gulf Stream now hugs closer to coast around New York, and there's a significantly warmer bulge around Maine related to the circulation slowdown, Rahmstorf and Caesar said. The northern U.S. Atlantic coastal waters have warmed faster than most parts of the ocean in recent decades, researchers said. Scientists blame global warming in a couple of ways. Warmer water lessens the amount of cooling and makes it harder for the water to sink and turn over. Ice sheets and glaciers in Greenland are melting and the fresh water is pouring into the area where the water turns over, making it less salty, less dense and therefore less likely to sink. There's also more rain and snow in northern areas and more evaporation in southern areas, altering the flow, Rahmstorf said. "It's a slow change at the moment, but we're changing it," Caesar said. "One danger is in the unknown of what will happen. We should expect changes." Rahmstorf and Caesar looked at an established cold patch — about 2 million square miles (5.2 million square kilometers), or the size of India and Mexico combined — as the indirect measurements for the speed of the AMOC, calling it a fingerprint of the ocean circulation. It's clear that the circulation is weakening, said Colorado State hurricane expert Phil Klotzbach, who wasn't part of the studies. Decades ago, that would have meant weaker Atlantic hurricane activity, but that hasn't been happening and it could mean there is a difference in weakening in winter and summer, he said. Andreas Schmittner at Oregon State University, who also wasn't part of the studies, said the Potsdam group's analysis makes sense, adding that as the world emits more greenhouse gases from the burning of fossil fuels, we can expect it to slow further. But MIT's Carl Wunsch said that the paper's "assertions of weakening are conceivable, but unsupported by any data." And Kevin Trenberth of the National Center for Atmospheric Research said his recent work faults regular cycles in the atmosphere more than the ocean. He said the Potsdam study doesn't explain year to year variability, while atmospheric cycles do. Rahmstorf said his study averages data over a decade at a time to render year-to-year changes less meaningful. The work shows that it is ocean circulation that drives the changes in atmosphere, not the other way around, he said.